The Vibrancy Path® is a one of a kind method to help you discover your soul’s purpose, connect to your innate power, live with radiant health, and become the best you imaginable. You’re in the right place if…. You’re craving more meaning, depth, and inspiration in your life. You’re running yourself ragged without direction or purpose, and at the end of the day you just feel spent and empty. You ache for more love and appreciation in your relationships, or you’ve lost that special spark. You feel stuck in relationship patterns that are deadening to your spirit. You worry that you’re not being the best parent to your kids. Your job isn’t joyful and juicy, or leaves you exhausted at the end of the day. You have nagging health issues that drain your energy. We’re so glad you’ve found us! We’ve helped thousands of people just like you overcome these concerns. We know life is busy. There’s so much to do – you’re probably juggling more balls than anyone knows. But a soul’s call cannot be denied. Your Higher Self knows your life has a purpose and a mission. Not living in alignment with that purpose will only lead to heartache, frustration, and eventually physical illness. We see it every day. When you don’t know or aren’t living your Soul’s Purpose, it’s easy to spin your wheels, waste your energy, and wonder what the heck you’re supposed to be doing. And it’s practically impossible to have deep, lasting happiness. the role you’ve come to play. Your heart’s desires, your greatest contribution to the planet, the way in which you live and love, are unique to you. But you don’t have to figure out how to create your greatest life all by yourself. In our own lives, and in our work with thousands of people, we have repeatedly seen that you cannot be truly, deeply happy if you aren’t living in alignment with your soul’s purpose. The fact that we get to share this work with people like you is an awesome bonus. We feel blessed to potentially be helping you discover your Vibrancy Signature so you can create a life ever more in alignment with your soul’s purpose. We’re here to help you implement these practical tools into your life so you can truly live into all your potential and get the most out of every moment. Would you like to discover the life you were born to live and fulfill your dreams and your desires more effortlessly? Discover your Soul’s Purpose and create a life that’s in alignment with your greatest vision of who you are. Realize the gifts and talents you’ve come to this life to express. Gain confidence in who you are, and in going after what you want. Find clarity and focus for your dreams and visions. Learn what you need at your very core to feel happy, loved, and fulfilled. Satisfy that deep inner hunger for meaning. Feel more seen, appreciated, and connected in all of your relationships, and bring spark and sizzle to your love life. Find the ideal career that will feed you intellectually and emotionally, leaving you energized at the end of the day. Become the parent your kids really need to thrive and be happy. 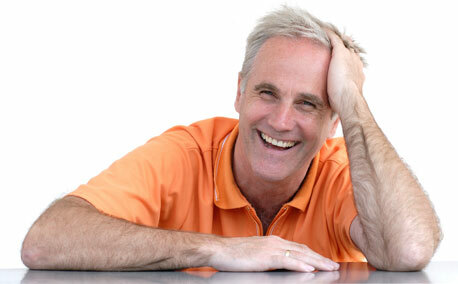 Look younger and feel more alive, healthy, and radiant. You’ll feel empowered to take charge of your well-being and create a life you love waking up to every morning. You don’t have to settle for a dull, lackluster, hard life – that’s not why you’re here. You were born to be shiny, vivid, and colorful! There is only one you in this world, and the world needs your gifts. You are the only person who can touch others and change the world in your special way. Only you can fulfill your purpose and reach your potential. Your life is NOW, and your soul is calling. Look at the caller I.D. Do you really want to let this one go to voice mail? It would be our honor to help you discover your Soul’s Purpose, because we know what an incredible impact it can make on your life. It’s our passion and vision to see you begin living into your magnificence. We look forward to helping you create a vibrant life where you’re living in alignment with the gifts you were born to share with the world, believing in yourself, reveling in your vitality, and getting the most out of every day. P.S. Would you like powerful, practical strategies from The Vibrancy Path for getting the most out of your life? 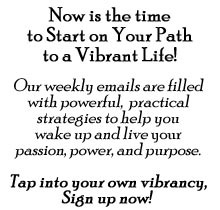 Sign up for our weekly email and start getting into alignment with your most extraordinary visions of who you can be!